quality to Watch your results skyrocket! I don't want to give you advice that you can pick up in any magazine or on any website. 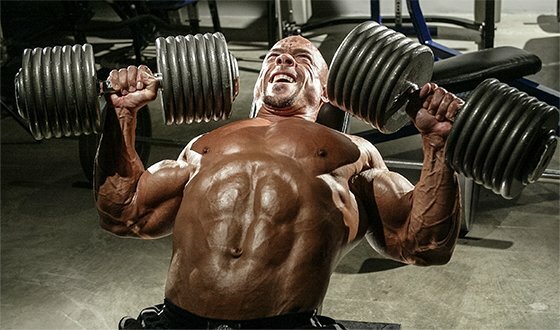 You're not going to hear, "Do this move for 6-8 reps or that move with this weight for 8-10 reps." This article isn't about the basics, but rather about taking your workout program, and your body, to an entirely new level. That's going to require a new way of thinking for even the most committed individuals. A major change like this has more to do with your overall approach to training than your splits or max weights. A lot of the guys who visit my Facebook page want these kinds of tips. They've been working out for a while and are ready to reach for something more intense and more involved than what they've experienced so far. Everybody else is satisfied to stick to the basics: what to do, how to do it, and how many reps. Those are all things that are performed and judged in the gym. What I'm talking about starts before you pick up a dumbbell. Does that mean these are "expert-only" tips? Far from it. You can take your training to the next level even if you're brand new to training. Get on the right path now, and you'll end up in a better place in the future, no matter your goals. This doesn't have to be complicated. Just a short list will suffice—the shorter the better. But I'll make one recommendation: Make a physical list, so you have something tangible to review before you start working out. The standards you lay out can be simple, such as "I'm going to be in and out of the gym in 45 minutes" or however long your workout takes. One of them might be, "I'm not going to look at email, answer my phone, or chat with anybody until I've completed my workout." Another might be, "I had something left in me the last time I worked out. Today I'm going to push harder." "Good is never good enough for people who achieve outstanding results." The point of these standards is to set the tone for your workout. They get your mind focused on quality, not just "exercise." Don't walk into the gym, start working out, and hope your focus or motivation kicks in once you get going. Lift your first weight already in that state. You see, your accomplishments in the gym will be dictated by how high you set your standards—and how much you continue to raise them in the coming weeks, months, and years. It's a never-ending process. Good is never good enough for people who achieve outstanding results. Don't just walk into the gym and do what feels right. People who get to the elite level know that their feelings and emotions aren't always reliable indicators for what they can and can't do on that training day. Know exactly which body parts you're training, what exercises you're doing, in which order you'll do them, and how many reps and sets of each will you perform. You already know what your overall goal for this workout is. Now get to know your specific goals. Write your program down if you need to—and maybe even if you think you already know it—and review it for 30 seconds or so before you get started. "We all do better when we have a time limit. The most successful people in life create deadlines for everything they do." You have your plan, both big-picture and small-picture, on a piece of paper in front of you. Now set a time limit to accomplish it. This will keep you from fiddling around during your workout, letting your rest periods drag on or get erratic, and from wasting time and momentum on anything other than action. We all do better when we have a time limit. The most successful people in life create deadlines for everything they do. You'll be surprised just how much more effective and efficient you become with your time, energy, and effort by having the limit hanging over you. What that number is doesn't matter; what matters is that you have one. The point of this step is to get your body warmed up, but also to get your mind off work or any other distraction you may have. So go for it—no strolling on the treadmill. The vast majority of people finally gets up to "full speed" 20 minutes into their workout—if they're lucky. If you've got a time limit on your workout, that's not nearly good enough. I know many people say they don't want to waste their energy reserves on cardio because they want to save them for their workout, but I'm talking about 5 minutes. This is your transition from everything else in your life to straight-up training. When you're done, you'll feel physically, mentally, and emotionally ready to begin your first set. Your mind is ready. Your entire body is ready. But if this isn't a full-body workout, then it's worth your time to warm up the specific muscles you'll target in this workout, too. Unfortunately, the majority of people never think about how much more effective their actual core workout, the part that yields the most gains, might have been if they had warmed up just a little more or less. You can hear that tick-tock over your shoulder, so efficiency is the key: the least amount of sets and reps, using the least amount of weight, in the least amount of time. Those numbers are going to be found through trial and error and they will vary from one person to the next. They might even vary by season, or depending on the time of day when you train. This is going to take work to perfect, but it's crucial if you want to get to the elite level. When you figure out your magic number, don't "build up to it." That's just wasting your time and energy. Start with it, and you'll see your workout performance improve dramatically—and your results, too. Guys who know me or follow what I write on my website have heard me talk about the mind-muscle connection many times. That connection is so incredibly powerful. If you have any hope whatsoever about making it to the next level of training, you need to appreciate and harness the power your mind has over your muscles. We've known for years that we can learn to control pain or exert strength in life by simply focusing our minds on a particular body part. This same principle is true in bodybuilding. If you are focused on a muscle, your form improves, as does the neural stimulation of the exact muscle fibers you target. That's when you start training and defining that muscle. "If you are focused on a muscle, your form improves, as does the neural stimulation of the exact muscle fibers you target." The majority of people in the gym have no appreciation for the tremendous power of their minds, and how they can pinpoint specific parts of their bodies when executing a movement. They're satisfied with moving the weight from point A to point B, no matter how many additional body parts they use to accomplish this incomplete goal. You deserve better. These are six of the most effective tips I can give you for taking your training and your body to the next level. I haven't even begun to discuss the actual core workout yet. But don't worry, I haven't forgotten about that. In my next article, I'll dig deeper into some next-level tips for specific exercises. For now, you've got a lot to practice.